Clarifications for F2D after France! 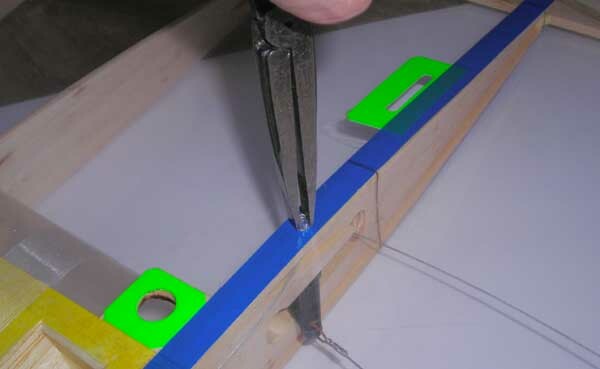 The rule claerifications for safety wire deskribed on this page will not be used in France! All pilots will be allowed to use existing models without any changes. In the future (2009) the model design must be changed to fulfill these new interpretations of the rules. Three weeks before the World Champs in France the Chairman of the C/L Subcommittee together with the F2D Judges Group send out a document with Technical Rule Clarifications for F2D. "- the connection must not rely on wooden parts to stay together" - ???? You won't be after reading this page! 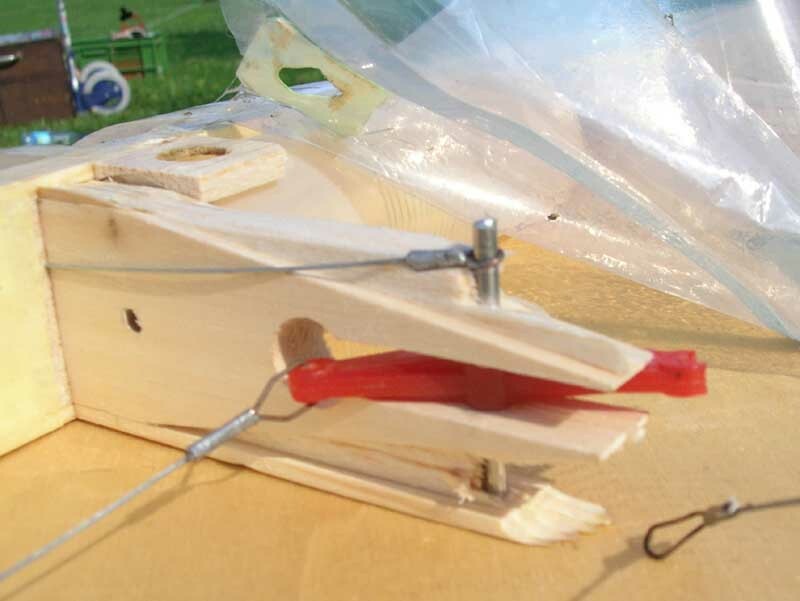 Most models today are built with an alu rod thorough the center section and the bellcrank. 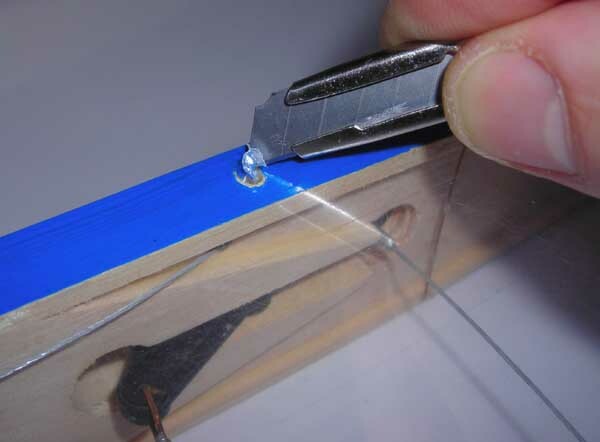 The safety wire is connected to this rod. 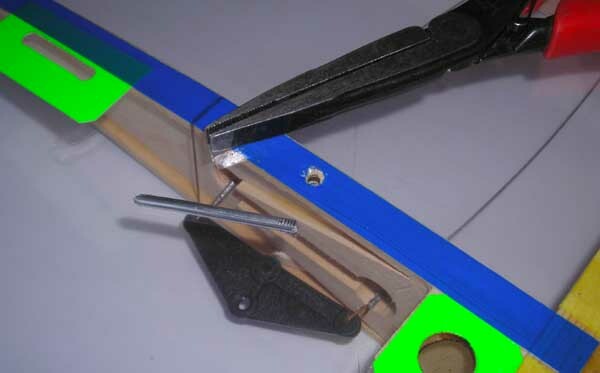 If a model is hit in a midair collision the wood in the center section can break open. 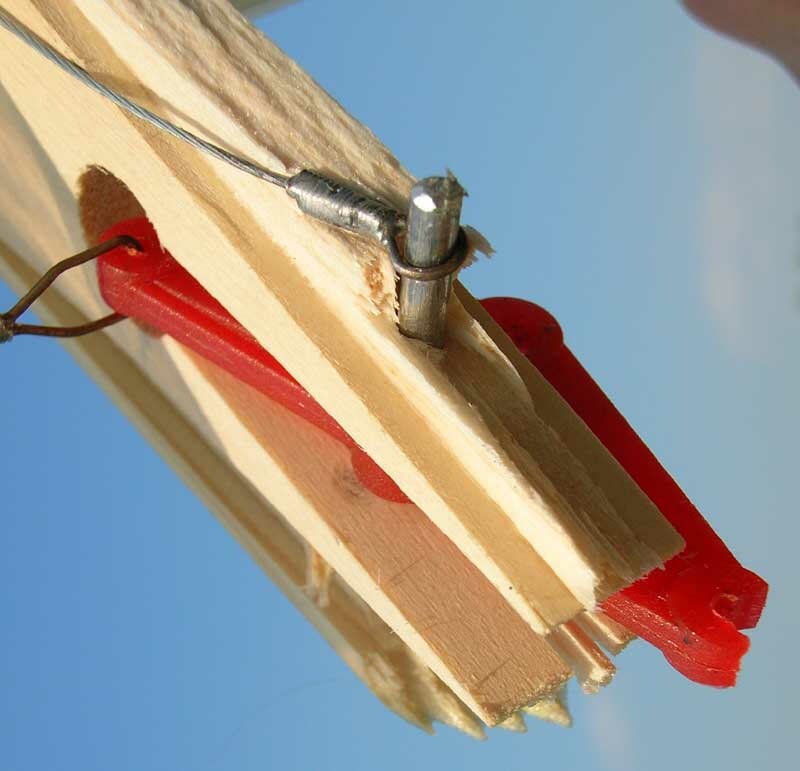 The safety wire is only held in place by the wood in the center section. 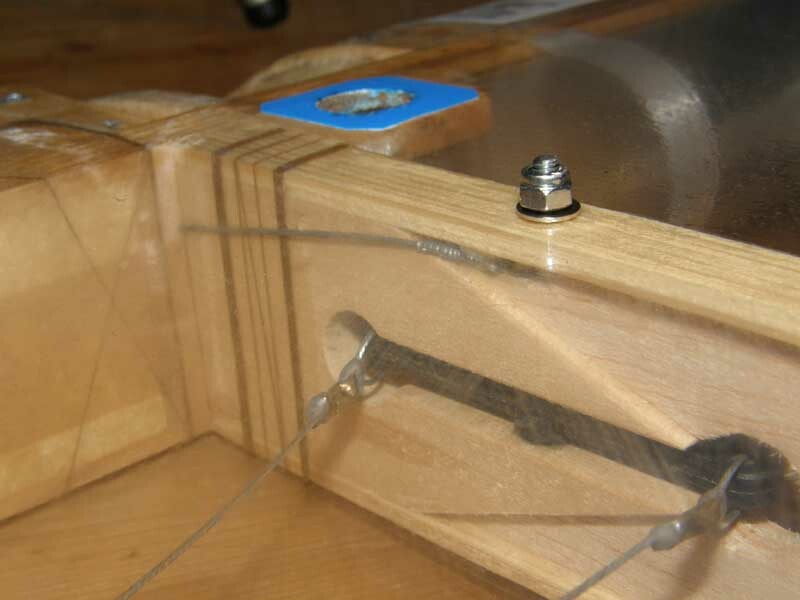 If the center section brakes up the safety wire can easily come off the alu rod and there will be no connection between the safety wire and the bellcrank. An open connection. 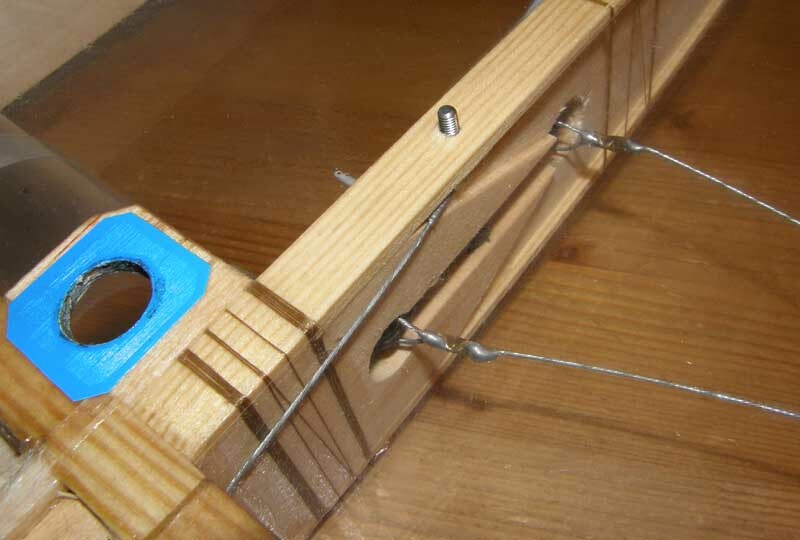 In this construction the connection between the bellcrank and the safety wire rely on wooden parts. According to the document you will not be allowed to fly with this design in France! Don't panic! 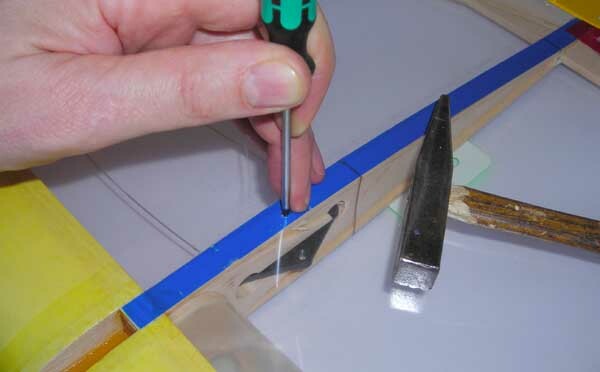 It is probably easy to rebuild your models to fulfill this new interpretation of the rules. Replace the alu bar with a M3 bolt. Fix the bolt with a safety nut and the problem is solved!